On 14 July 2015, the two laser communication terminals onboard both the Alphasat satellite and the Sentinel-1A Earth observation satellite established their 100th optical inter-satellite link since start of the demonstration process in November 2014. At the time of the link, Sentinel-1A was passing over Antarctica while Alphasat was at its GEO-stationary position 36 000 km above Central Africa. Communication was established in less than 50 seconds and the satellites tracked each other for a total of 10 minutes. The ultra-fast optical connection was used to transmit synthetic aperture radar (SAR) data from Sentinel-1A to the Ka-band ground station, located in Oberpfaffenhofen Germany, using Alphasat as a relay. The optical inter-satellite link between Sentinel-1A and Alphasat is the result of collaboration between ESA, the German Aerospace Center DLR, and the German company TESAT. One of the current objectives is to optimise the settings of the laser communication terminal on Alphasat to achieve even shorter acquisition times and to reduce power requirements without impacting performance. The connection process, consisting of spatial and frequency acquisition, is reliably achieved well within the originally specified timeframe, in some cases taking as little as 19 seconds. After the connection has been established, communication starts and SAR data can be transferred. It has been determined that optical transmission power as low as 1.1W is sufficient to ensure stable and bit-error free links at distances of up to 45 000 km. Performance has exceeded expectations, demonstrating good system margins and great potential for further applications. With funding from DLR and ESA, TESAT developed the laser communication terminals and downlink system that is used by the two satellites. The terminals are capable of establishing optical communication links at data transmission speeds of up to 1.8 Gbit/s, with a design that could scale up to 7.2 Gbit/s in the future. Launched in 2013, the geostationary Alphasat, Europe's largest telecommunications satellite, is a Public Private Partnership between ESA and UK satellite operator, Inmarsat. 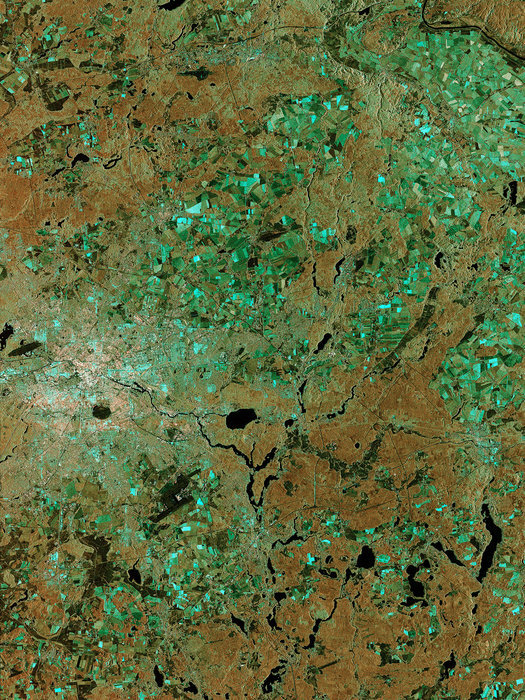 Sentinel-1A is a European radar imaging satellite that was launched in 2014 as part of the EU Copernicus programme. In November 2014, the first optical link between both satellites was established. The Alphasat laser link terminal serves as the precursor for the forthcoming European Data Relay Satellite System (EDRS). EDRS will consist of a network of dedicated geostationary satellites providing data relay services; the first, EDRS-A, is planned to start its service beginning 2016.